A good deal of our work is wall re-builds; free standing or retaining- in all styles of masonry- and where possible using the existing stone and authentic mortar types. Where stone is damaged or missing we can source reclaimed stone to match. Choosing the right paving styles and combinations is aestheticly important. From reclaimed pennant to concrete reproduction, we offer a professional finish with the benefit of our experience to help your selection. We offer a free, no obligation masonry check in the Bath area- so if you have concerns about the condition of any of your walls we will be glad to come and advise you on the best course of action and provide a quotation. Please dont hesitate to call! 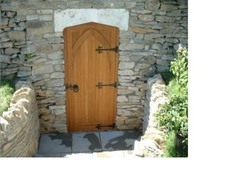 Products or Services: A Stone Walling and Paving Company offering a wide range of building & masonry services, from landscaping to new build properties including Refurbishments, Extensions, Stone & Drystone Walling, Paving; Natural & Pre Cast, Cobbles, Ashlar stone, Bath stone, Penant stone and Reclaimed stone. Builders, Landscapers.